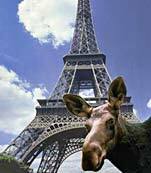 Species: ALCES ALCES -IS A MOOSE ! 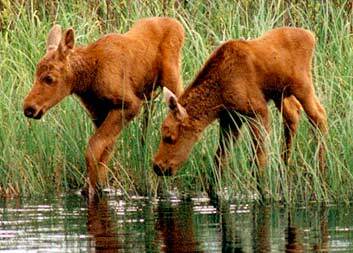 Moose are found all over the Northern Hemisphere; their range essentially coincides with that of the coniferous forests of northern Asia, Europe, and North America. Moose may grow to be 7 feet tall and 1500 pounds! The word "moose" itself is derived from the Natik word "moos," itself supposedly derived from the Proto-Algonquian mooswa, meaning "the animal that strips bark off of trees."